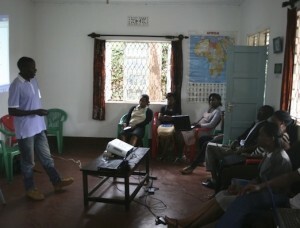 » The new Volunteers have finished Orientation & Training! The new Volunteers have finished Orientation & Training! Congratulations to the new AVC Volunteers who have just finished their Orientation and Training! 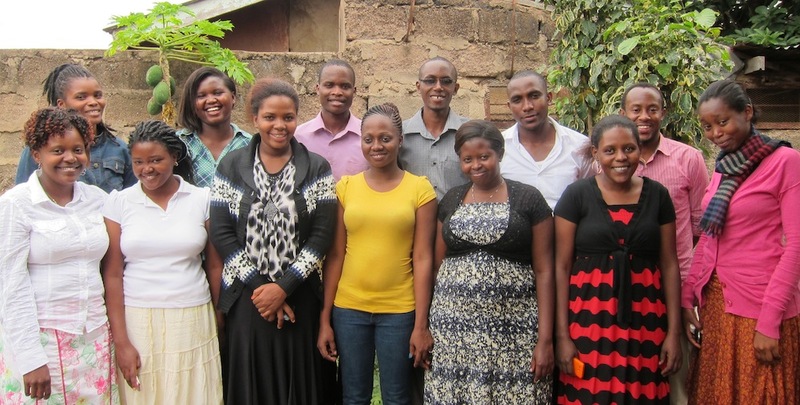 On Monday, they will begin working at their placements sites all over Moshi. For the last 3 weeks, the Volunteers have participated in workshops on entrepreneurship, leadership, counselling, business planning, HIV/AIDS awareness, education, and more. These training sessions teach the Volunteers essential skills for working effectively and confidently in the community. Former AVC Volunteer Rasheed Makamba taught Database Management. After volunteering for 2 years, Rasheed was hired by his placement where he now teaches computer classes to youth who were unable to complete secondary school, including young single mothers. By teaching practical computer skills, Rasheed equips his students to gain employment. It is really exciting to see AVC Volunteers like Rasheed become experienced professionals with the power to pursue their dreams and help Tanzania. The AVC Training Program empowers the Volunteers as leaders, ready to change the world and build a better future for Africa.